Item #43736 : Original period manufacture. 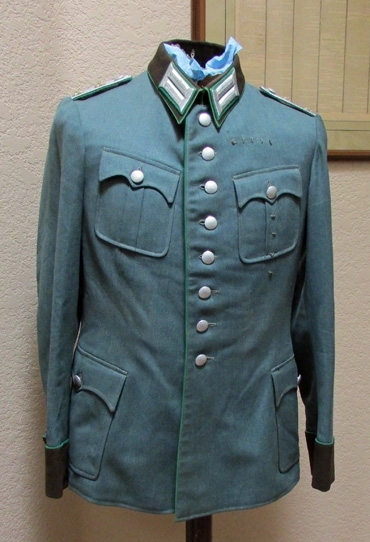 A very clean example of a municipal Police officers tunic in the rank of Captain. 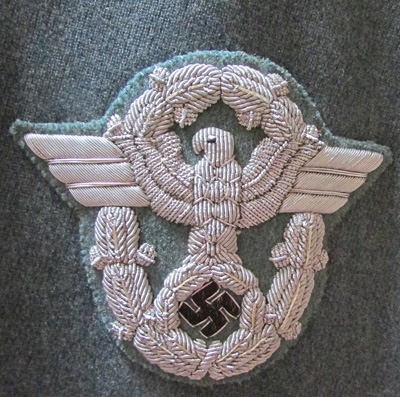 Four patch pockets with pointed flaps, bright aluminum buttons, with dark brown collar and cuffs.Original sewn collar litzen and shoulder rank, loops for a medal bar and two badges on the left side. 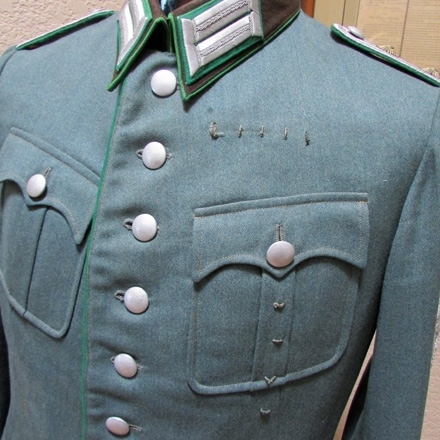 Very fine quality silver wire Police officers eagle on the left sleeve.The lining is intact with an inner half belt. Strong color throughout, with no major staining, just a few small onesabove the right cuff. Mothing is also quite minor, with the largest being a 10 x 3 mm hole above theright cuff. 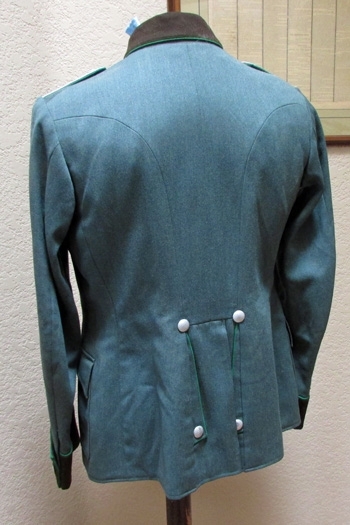 All buttons are present and appear to be original to the tunic. Bright and clean looking.